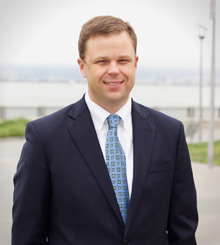 Mr. Lovell’s litigation practice spans the West Coast and the Pacific Rim. He is admitted to practice in both California and Hawaii and actively practices in both the state and federal courts of those jurisdictions. Given his unique maritime experience, he is frequently called upon to practice pro hace vice in other jurisdictions as well. Mr. Lovell focuses on the defense of maritime and landside personal injury and death actions, sports and recreation litigation and product liability defense, with an emphasis on the defense of maritime employers in Jones Act and LHWCA 905(b) actions, vessel owners, recreational marine providers, marinas, and marine and landside product manufacturers. Mr. Lovell also has substantial experience in the areas of insurance fraud, insurance coverage, insurance bad faith, and subrogation. An active litigator, Mr. Lovell has significant experience at all levels of state and federal litigation including mediation, arbitration, trial, and appeal. He has also had considerable success with dispositive motions, prevailing on summary judgment in numerous jurisdictions. In every matter, Mr. Lovell strives to provide cost effective and pragmatic advice to the firm’s clients with the goal of achieving predictable and favorable outcomes. Mr. Lovell has been annually honored as one of the Northern California’s Super Lawyers by Super Lawyer Magazine. This honor is awarded to those lawyers who are among the top five percent of Northern California attorneys based on input by their peers and review by a Blue Ribbon Panel. Mr. Lovell is a sought-after speaker and lecturer. He has spoken before numerous organizations, including the San Francisco Marine Claims Association, the Association of Marine Underwriters of San Francisco, the Board of Marine Underwriters of San Francisco, the Pacific Admiralty Seminar, and the Marine Insurance Association of Seattle on a number of topics, including Primary Assumption of Risk in Maritime Cases, Recoverable Damages in Personal Injury and Death Cases, Choice of Law and Pre-Trial Discovery Practices. He also provides in-house training, lectures, and seminars to institutional clients.